There are a number of reasons why a professional locksmith may be required to repair a lock on your residential property, ranging from broken keys to misaligned latches. Delaying these repairs is a serious risk to your home’s security, and you are much better off calling in one of our experts who has been trained to quickly identify and resolve this security issue. Fixing the security hardware is a lot less expensive than installing entirely new locks, and is just one of the many services we offer to ensure the safety of homeowners. Misplaced or stolen keys are a very good reason to have your security hardware completely replaced, but it is not always necessary. Our specialists can rekey your existing lock system for a fraction of the cost, using advanced tools and expert know-how to alter the interior so that the original key set will no longer be accepted. By providing a 24 hour locksmith service our team grants you an added level of security, as this procedure can be conducted as soon as you notice that your keys are missing. This process eliminates any worries that your safety or security has been compromised, and is just as good as having your locks replaced completely. 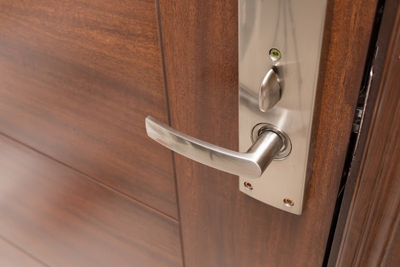 Wear and tear is an inevitable process, even for hardware that is as durable as lock systems. Attempting to replace the exhausted components by yourself is not only a difficult and frustrating procedure, but it’s also asking for trouble. That’s why our experienced locksmiths are only one call away, and are guaranteed to complete the process in a considerably short amount of time. We provide only the best locks to replace your existing hardware with, installing modern and higher quality lock systems that provide a greater amount of security for you and your home. Our experienced technicians at Locksmith Simi Valley endeavor to ensure that you always feel safe and secure in your own home. By providing the highest quality security, our experts focus on making sure that you and your family feel comfortable within your abode, and are never put at unnecessary risk due to faulty locks or misplaced keys. For the best residential locksmith services, be sure to give us a call.